As part of its partnership with Mercedes-AMG Petronas Motorsport, racing enthusiasts will get access to the racer with a unique opportunity to interact with the driver during the 2018 Formula 1 Etihad Airways Abu Dhabi Grand Prix. Taking place between 22 and 25 November at the Yas Marina Circuit, Abu Dhabi, Marriott International’s loyalty members will be able to catch all the excitement of an adrenaline-fueled race weekend. The Marriott Garage, located in the F1 Fanzone at the Yas Marina Circuit, will host four racing simulators with prizes to be won every day and an exclusive sweepstakes for UAE racing fans enrolling into Marriott International’s loyalty programs. For more information on the sweepstakes, visit http://bit.ly/MarriottSweepstakes. Finally, guests staying at participating hotels from Marriott International’s portfolio in Abu Dhabi will be in pole position all weekend with an energizing ‘Driver’s Breakfast’ specially created in collaboration with the Mercedes-AMG Petronas Motorsport nutritionists. This unforgettable experience comes hot on the heels of Marriott International’s recent unveiling of its unified set of benefits across Marriott Rewards, The Ritz-Carlton Rewards and Starwood Preferred Guest (SPG) for members of its incredibly rich hospitality loyalty program. “We are committed to creating memories that connect with our members through their passions. 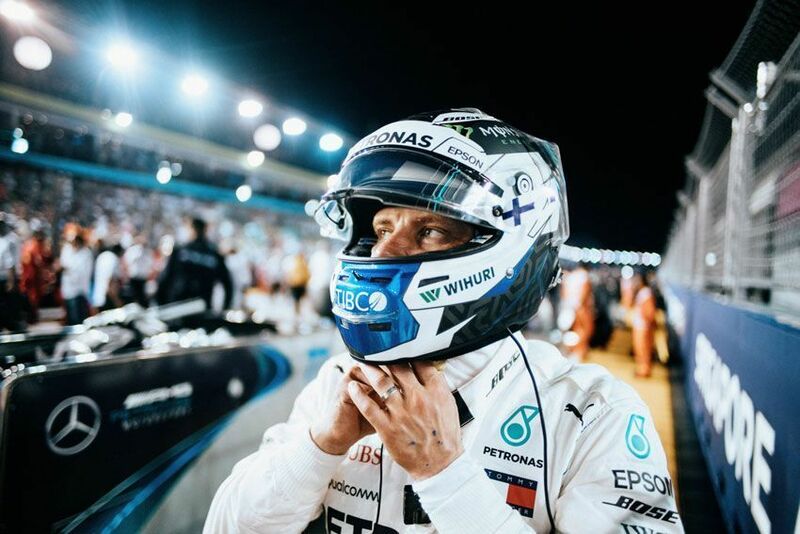 Our partnership with Mercedes-AMG Petronas Motorsport has enabled us to create a truly special experience so we can be the catalyst for building memories that last a lifetime and capture the hearts of racing fanatics,” said Neal Jones, Chief Sales and Marketing Officer, Middle East and Africa, Marriott International. With the new unified loyalty program, members can now earn on average 20 percent more points per dollar spent and have their Elite status recognized consistently at every hotel as they indulge in the elevated benefits they’ve earned. The Moments experiential platform now includes more than 110,000 experiences across 1,000 destinations, from must-see attraction tickets and tours for purchase with cash by all guests, to once-in-a-lifetime events only available to members using points, including the new bespoke Moments Live event series.